Bihar has won the Krishi Karman Award several times for its agricultural performance. Last year, the president of India mentioned that Bihar can potentially initiate the country’s next green revolution. 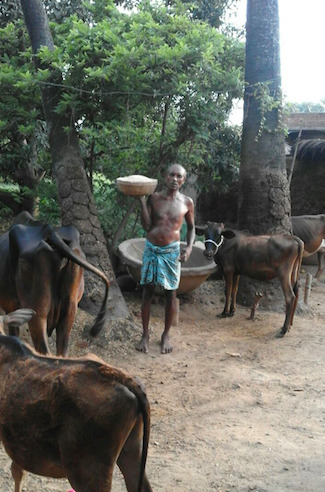 This article investigates the farmer’s financing opportunities in a district of Bihar, Bhagalpur, and gives a more concrete insight in the situation at grass-roots level. In-depth interviews were conducted with the PACS chairman and two farmers. The lion’s share of the farming population are sharecroppers, who typically have fewer public and private financing opportunities than the landowning farmers. Further investments in financing and infrastructure (i.e. water management, technologies, and roads) may yield great potential in achieving India’s agricultural ambition for the state. What is Bhagalpurs’ agricultural landscape? Bhagalpur is located in Bihar, the eastern state in India, where the vast majority of the population resides in rural dwellings. The district consists of 16 blocks and the city Bhagalpur. About 3.1 million people live in Bhagalpur, of which 2.5 million live in rural areas of the district. On average, about 60 per cent of the rural population is literate, with men being typically more likely to be literate than females. Sixteen million landholdings are registered in Bihar and these are predominantly marginal (91%), which involves a holding of less than 1 hectare of land (Ministry of Agriculture, 2015). Bihar is known as the third-largest state in terms of vegetable harvest, and can be divided into four main agricultural climatic zones (Salam et al., 2013). The zone type is established on the basis of soil characteristics, rainfall, temperature and terrain type. Geographical disparities are visible, with the Northern parts of Bihar receiving more rainfall than the Southern parts below the Ganges, where Bhagalpur is located. Bhagalpur has alluvial soil in abundance and access to the river Ganges. However, several parts of the district suffer from high inconsistency of groundwater levels. Bhagalpur is located in zone IIIA and this zone is typical for being a drought-prone and high temperature zone. In spite of this, a wealth of agricultural practices are taking place, including cultivation of wheats, gram, lentils, rai, as well as horticulture, pisciculture, and rearing livestocks, etc. Bihar: state of the next green revolution? On 9 November 2017, while launching the state government’s third agricultural roadmap (2017-2022) President Ram Nath Kovind praised the state Bihar for its agricultural progress, as Bihar has won the Krishi Karman Award several times, and yield of paddy (rice) has increased by 90 per cent in the last decade (Times of India, 2017). In addition, Kovind emphasized that the state has the potential, with the help of necessary public and private investments, to bring about the next green revolution in India. Landowning farmer: the landholding is registered under this farmer’s name. The landowning farmer finances and cultivates the land. Sharecropper (or ‘sharefarmer’): A farmer who does not own land. The farmer has a verbal agreement with a landowner, who will claim 50 per cent of the farvest. Yet, this farmer is 100 percent responsible for the financing of the seeds, tools, etc. 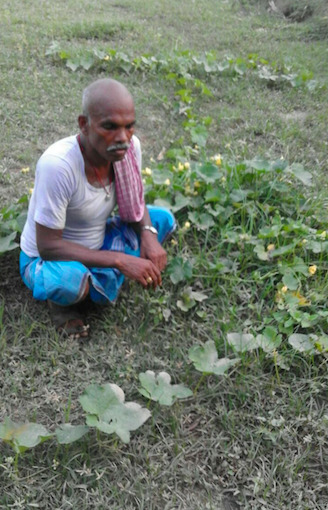 For example, in Jagdishpur, Southern block in Bhagalpur District, the PACS chairman noted that “almost all the farming is practiced by the sharecroppers and almost none of the landowners practice the farming themselves”. How do landowning farmers access finance? Personal savings. After the harvest, the farmers keep a portion of the crops for their own consumption for the whole year and sell the surplus either to the Primary Agriculture Cooperative Society (PACS) or elsewhere (i.e. market). The (local) government is involved in determining the price for the crops. This intervention has been initiated to ensure fair pricing and financial sustainability for farmers. To give an example, this year PACS bought rice at 1550 INR (17.17 GBP) per quintal, which is significantly higher than the usual market price of 1200 – 1300 INR. The profit from one harvest is typically stored in the farmer’s personal savings for future agricultural purposes. Institutional Credit. The landowners can also avail themselves of agricultural loans from nationalized banks, depending on their eligibility. The Kisan Credit Card (KCC) is a credit card that such farmers can become eligible for. This initiative is facilitated by PACS and enables farmers to acquire small loans from cooperative banks. The eligibility and size of the loan depends on whether and how much the farmer owns land (i.e. it is proportional to the possessed land). 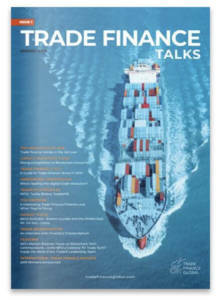 “For every acre a farmer can obtain 25,000 INR (277 GBP)” (PACS chairman, interview). This loan is provided at an interest rate of 3% per annum, which has to be paid back once the farmer has sold the harvested crops. Private loans. There are professional private individuals who lend the money at diverse interest rates. This is considered a very attractive source of finance, since it can be relatively easily obtained (i.e. no bureaucracy and relatively quick access). Next to this, borrowing from neighbours, fellow farmers, friends and relatives is also common practice. 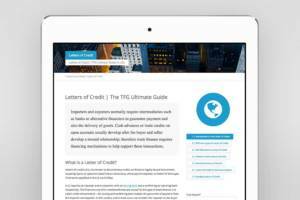 How do sharecroppers access finance? Personal savings. Most of the sharecroppers in the region are deprived of resources and struggle to survive. Since 2017 sharecroppers can also sell their crops to the PACS to obtain a fair price (price determined by government), which was previously limited only to the landowning farmers. Usually they do not have enough to save for the next harvest and resort to other financing and household-coping strategies. For instance, one farmer narrated how crop failure or medical emergencies in the family have a negative impact on his agricultural practice, such that he has to resort to other financing options by taking on all kinds of odd or precarious work. A small loan of 20,000 INR (221.6 GBP) would take 7-8 months for him to pay back (for contrast, a normal institutionalized child delivery or an appendectomy costs about the same). Institutional Credit. Owing to the very high deprivation of awareness and literacy, most farmers do not access institutional financing. From the perspective of an interviewed sharecropper: “it is a hidious work, bring this bring that, from where will we bring these many things?” to which he refers to the required paperwork and bureaucracy. Furthermore, since sharecroppers do not own land they are not eligible for bank loans and the KCC initiative. In addition to this, the lack of a formal contract leaves little to no opportunity to avail any service from an institutional credit system. Private loans. This is the most accessible financial source of finance for sharecroppers. There are two types of private loans practiced locally, namely (1) loans without interest: where the sharecropper lends money from friends, family, neighbours or even from the landowners; and (2) loans with interest (frequently usurious): from a professional private individual who lends money at varying interest rates. According to Pandit et al. (2007) these interest rates can as high as 70%. What can or needs to be done? At this point there is not much information or policy drafted for increasing the financing opportunities for sharecroppers, who represent a large unmet gap in this story. They are responsible for the predominant share of agricultural business in Bhagalpur, but resort to expensive loans at times of urgency. In interviews, one farmer noted that due to his illiteracy he refrains from visiting financial institutions, nor is he aware of government schemes. Notably, the spread of awareness on agricultural schemes are not carried out by systematically visiting individual farmers, it is usually done through public announcements that such farmers do not seem to join due to work obligations. Infrastructure and specifically water management is of crucial importance. The farmers mentioned that they are relying on water from the sky rather than irrigation from nearing water sources, simply because the infrastructure is not in place. 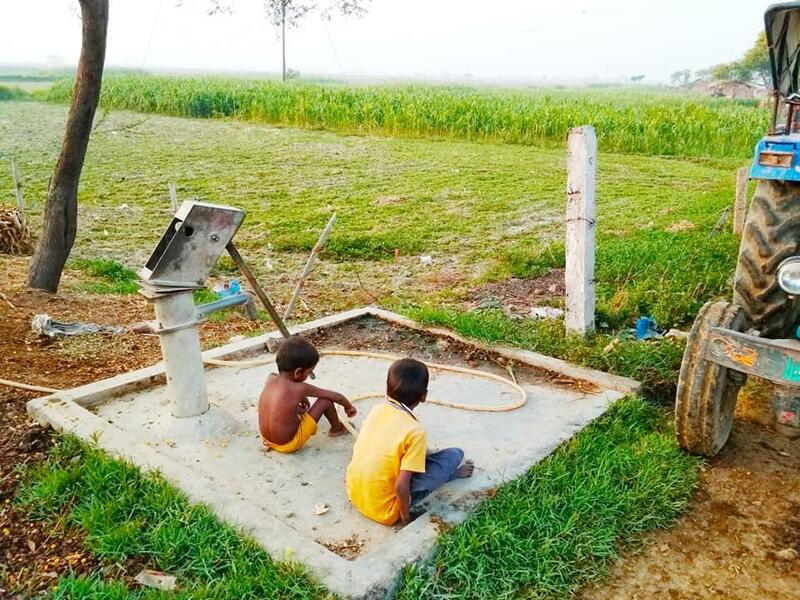 When irrigation is constructed, it could yield significant benefits for the local farmers and potentially increase Bhagalpur’s agricultural productivity. Besides water pumps and tractors, modern agricultural technologies are not utilized in this district, and crop storage and road connectivity are not at the level to support increased local agricultural scale-up and export. Under the present government, the agricultural sector has gained further importance in terms of policy, with several initiatives, such as the Primary Agriculture Cooperative Society (PACS) and the Kisan Credit Card (KCC) being implemented. The relatively undocumented phenomena of farmer’s financial routes have been investigated in this article in light of a case study in Bhagalpur. It was found that the majority of the farming population, consisting of sharecroppers, are relatively inaccessible when it comes to eligibility for loans and credit through PACS and cooperative banks. Proper documentation of land is a crucial eligibility criteria for financial services under the government initiatives and (cooperative) banks. The landowning farmers who have the land documents can avail themselves of the benefits of the agricultural loans, KCC (Kisan Credit Card), among other benefits and subsidies from the government. However, due to the lack of documents and land ownership the same benefits cannot be enjoyed by the sharecroppers. Consequently, they rely mostly on private (usurious) loans. Currently, the PACS has started to purchase the crops of sharecroppers at a government agreed price, which was earlier limited to landowning farmers only, and now enables all types of farmers to obtain a high and fair price for their harvest. Bihar is regarded as the place that could initiate India’s second Green Revolution. To further enable Bihar’s agricultural potential will require public and private investments in agricultural financing, water management (e.g. irrigation), crop storage godown, agricultural technologies, and road connectivity.